This week I'm sharing my first beverage recipe on this platform. 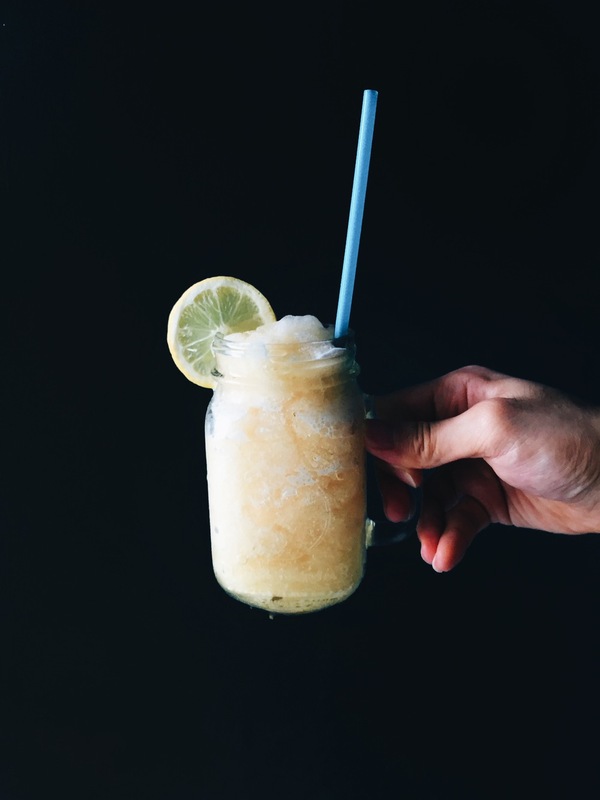 Really simple and fast, no-fuzz, hassle-free, fool-proof recipe that are so delicious, and refreshing especially during hot fiery days! Featuring from the Basilur 4 Seasons Series: Spring Tea - 100% Ceylon green leaf tea, natural pomelo, cherry fruits & natural cornflower. This recipe works best with tea that have fruity & berry tasting notes. The fun thing about cooking is you get to experiment with different kind of ingredients, so do try and experiment with other kind of tea blends. 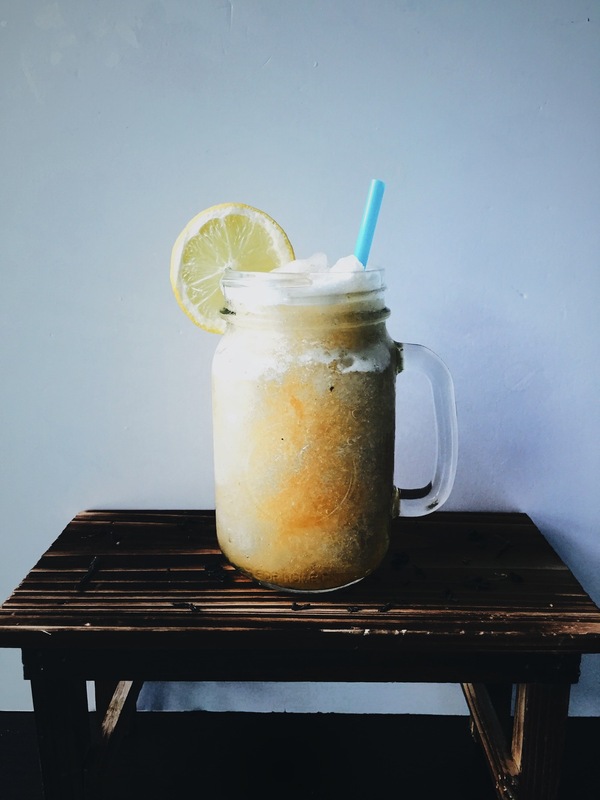 Just 3 simple ingredients to make this slushy: lemon juice, spring tea loose leaves and sugar. Reason why I use sugar instead of honey is because I do not want the honey to overpower the tea, as I want the natural taste of the tea to be as prominent as possible. Note: My mason jar cup hold about 500ml full. Prepare the boiling water and steep the tea leaves for about 10 minutes. After which, add the sugar in, stir till dissolve. Let the tea cool for another 15 minutes or so, then sieve the tea leaves from the tea. When the tea has chilled to almost room temp, taste if the tea is sweet enough and adjust with more sugar if its not. 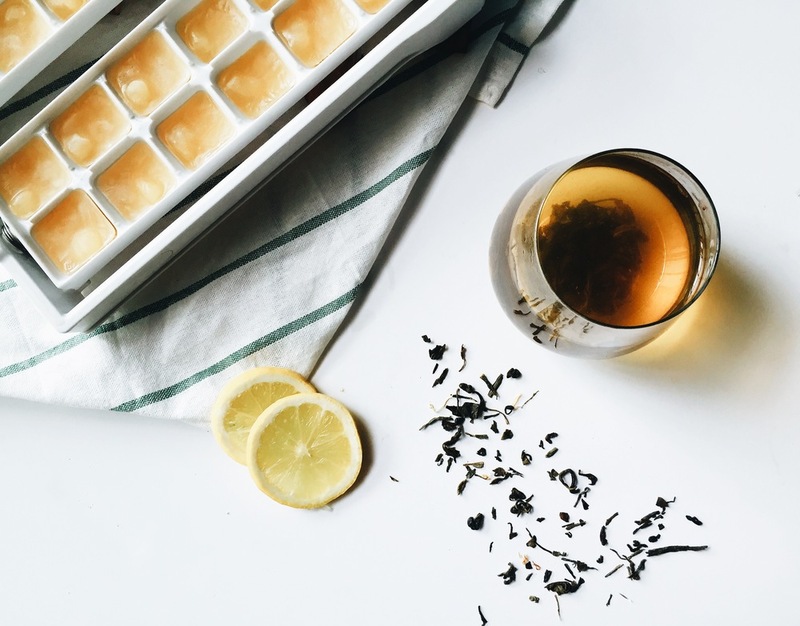 Pour the chilled tea into the ice cube trays and freeze for about 1 and the half hours to 2 hours. Due to its tea concoction, when its frozen, you're still able to break it quite easily by crushing it, giving you the slushy texture. Pour the cubes into the blender (or you can crush it manually) along with the lemon juice. Blend until the cubes are no longer visible. 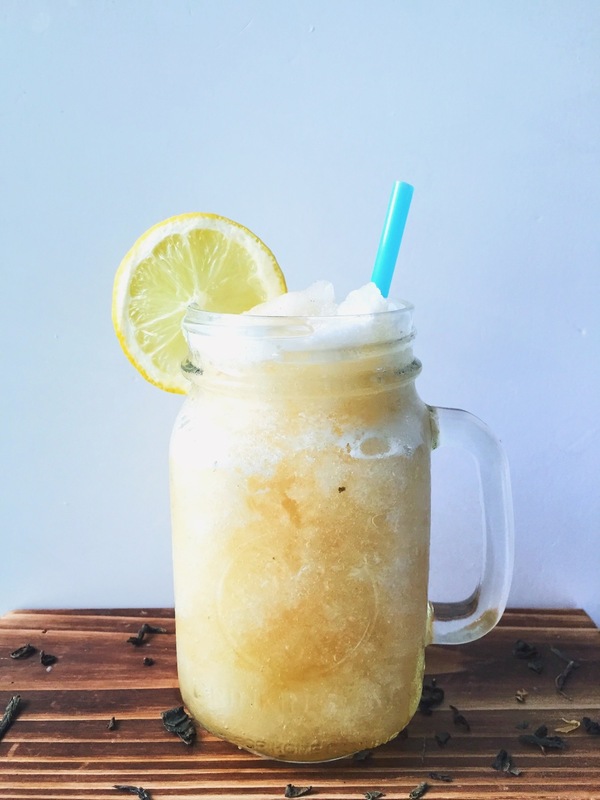 Do not over blend as the ice tea will melt fast and will be too watery. There you are done, very simple easy and fast!